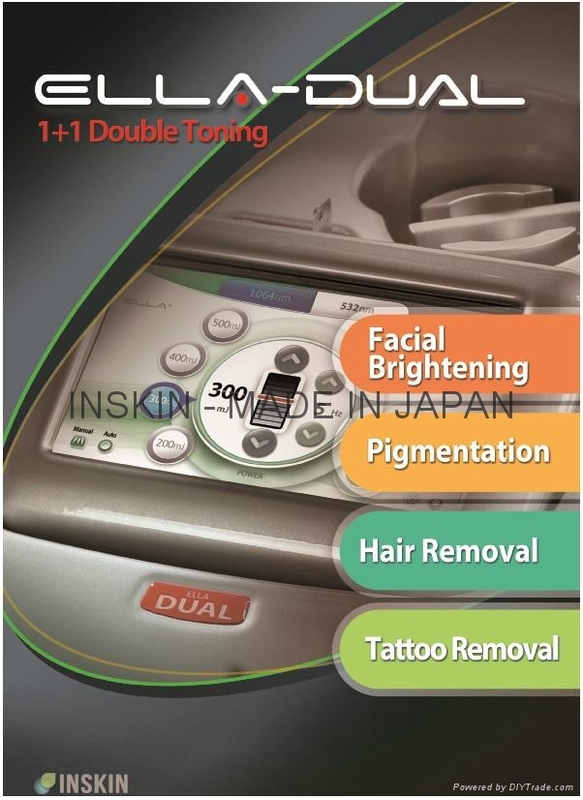 ELLA-DUALis a beauty equipment with both Nd:YAG laser and IPL in one body. 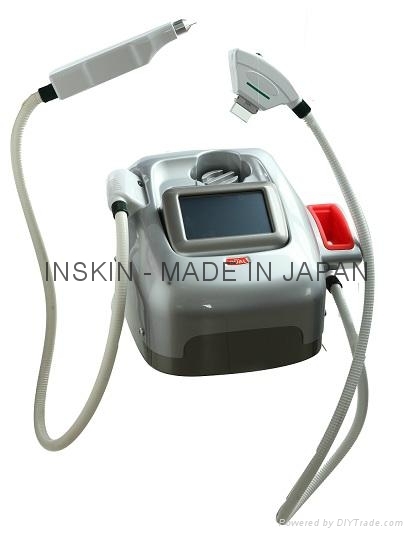 It has multiple functions: tattoo removal, hair removal, acne removal, spotremoval and skin rejuvenation. ELLA-DUAL has two handpieces. The laser handpiece has two filters, and the IPL handpiece has three filters. We can achieve different effects by changing the filters. 3. Inner cooling system ensures continual working. 6. The filter is made by special crown stone. Itis very pure, so it can maximize the useful wavelength and spectrum. 7. Safety in salon and clinic. No side effect, no downtime. - any unwanted hair can be removed, including fine hair, armpit hair, beard, lip hair, bikini hair, etc..
IPL(Intense Pulsed Light) is a kind of light with high energy and wide wavelength. Photothermic and photochemical reaction will be triggered by the radiation of IPL. The light passes through the pores to the hair follicles, destroys the dermal papilla cells, achieving the permanent effect of hair removal. By the radiation of the light, the melanin is shattered and eliminated out of body by metabolism, and the color of skin will turn normal. The light passes through the epidermis, kill the acne bacilli, thus preventing the regrowth of acne; and it also gives a boost to the production of collagen, which lightens the acne scars.